"Hrd some one call me but not sure who it was om. cuagn. 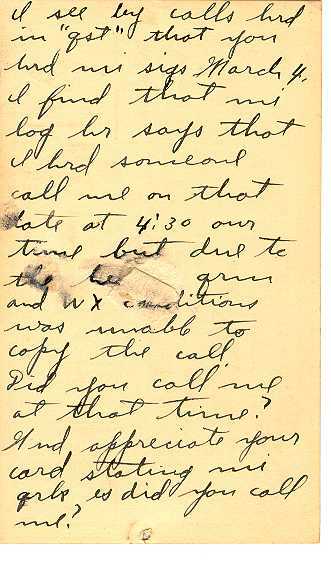 I see by calls hrd in "qst" that you hrd mi sigs March 4, I find that mi log hr says that I hrd someone call me on that date at 4.30 our time but due to the hi qrm and wx conditions was unable to copy the call. Did you call me at that time? 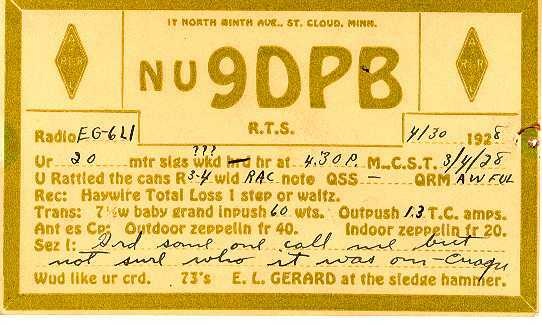 And appreciate your card stating mi qsl's es did you call me?"